And for me, as a fan of train travel, that would be a great shame, and it should also be considered a shame by those wishing for opportunities to admire beautiful countryside vistas, and any photographers wishing to be able to take pictures of the country’s beautiful landscapes unencumbered by things like windows getting in the way. It would also be a great loss for fans of roller-coasters, or those who like their overnight journeys to come with an almost 0% chance of sleep or rest. Wildlife fans will also appreciate the journey! Life Insurance!? 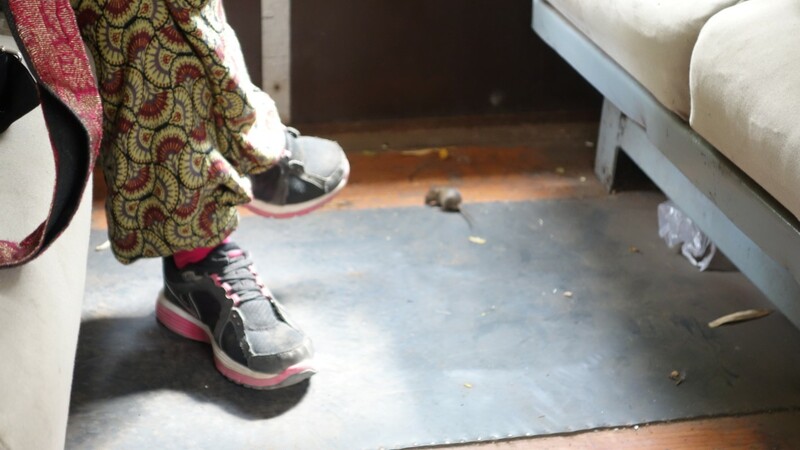 Not re-assuring to find that on your train ticket! 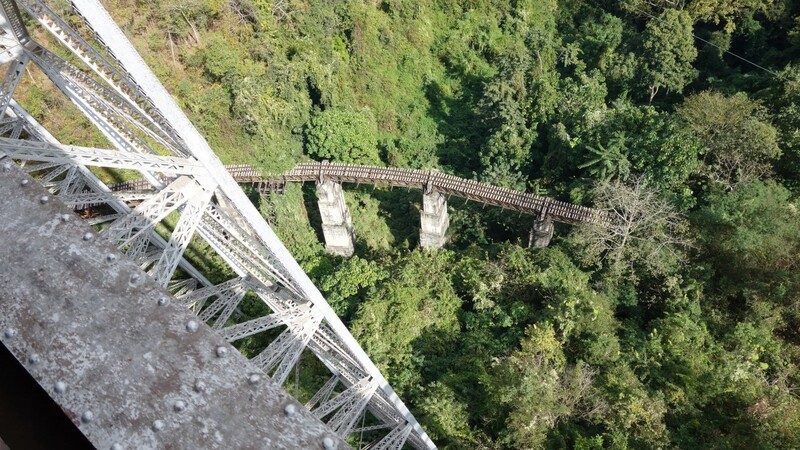 Burma/Myanmar’s rail network is largely an inheritance of the one built during the late 19th and early 20th Century and frequently it feels as if attempts to maintain the network might well have been abandoned soon after its completion. In the UK, train staff (and sometimes passengers) will report “rough rides” (stop sniggering) to engineers when the trains they are travelling on experience sudden jolts or unexpected movements that might be an indication of a fault with the track. This will result in workers going out to look for and rectify any problems they might find. 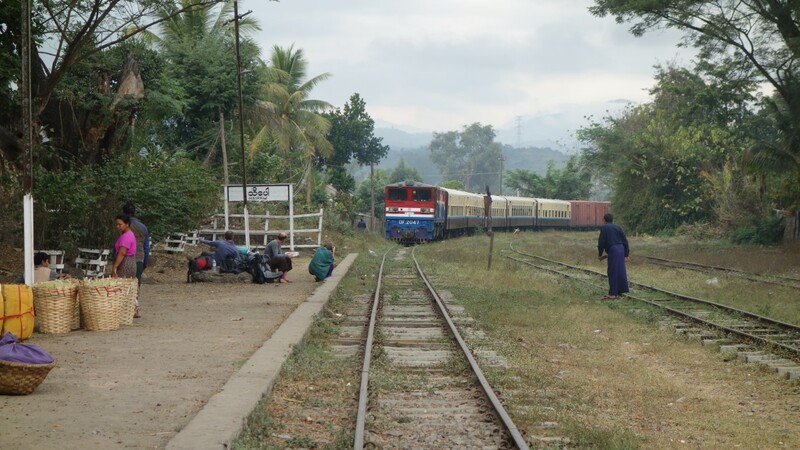 If these same practices were to be carried out in Burma/Myanmar, I expect it would be far easier for staff to just report the occasions when the train doesn’t experience sudden jolts and lurches – which would basically result in no reports whatsoever, because whilst the main activities of any train journey in Burma/Myanmar might be claimed to be the people watching, the opportunities for photography or just admiring the scenery, you will actually find you spend the majority of your time trying to work out just how the train appears to be staying on the tracks when the violence of some of its movements and relative speed compared to the condition of the track would seem to suggest derailment as an ever-present danger. All of which makes it a rather unforgettable experience that all visitors to Burma/Myanmar should make efforts to witness for themselves. 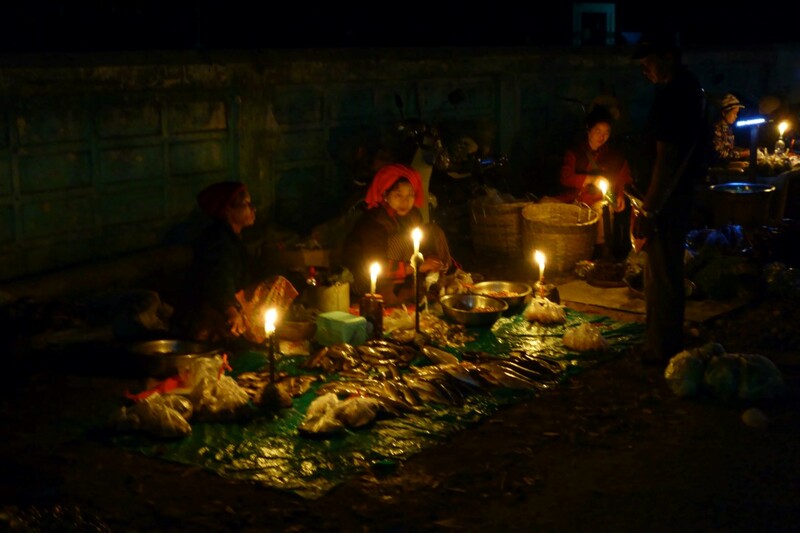 A particularly popular journey is the one between the strawberry producing town of Pyin Oo Lwin and the trekking base of Hsipaw. 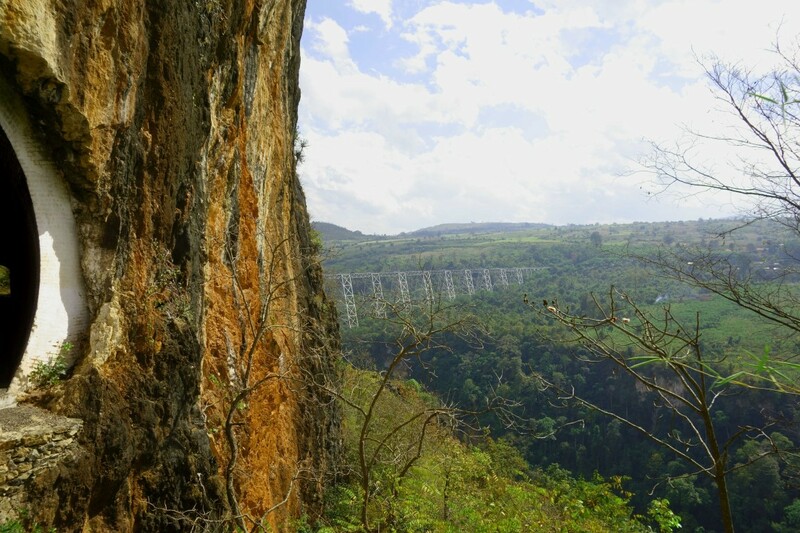 Here the highlight of the journey is the slow traversing of what was once the second highest bridge in the world, the Gokteik Viaduct, a 100 year old steel feat of US design and Indian labour, spanning nearly 700m and with a 90m drop to the valley below, it offers stunning views and endless opportunities for “head out of the window selfies” and other photography. Approaching the main event, cameras ready everyone! 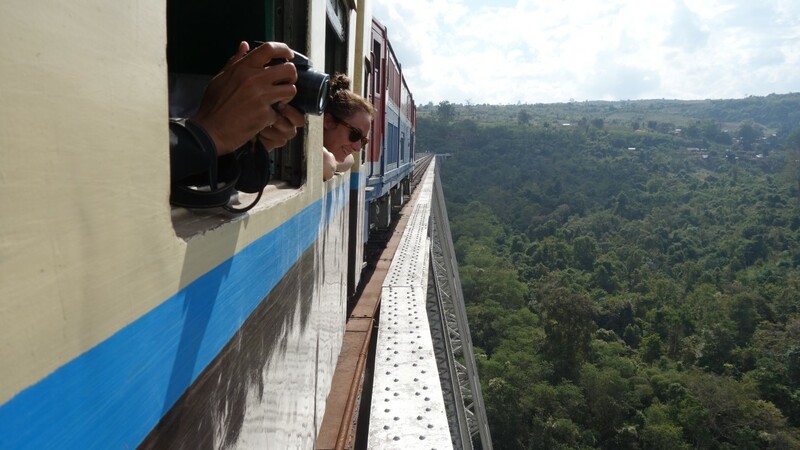 It might be nearer the ground but I’m glad I wasn’t on that bridge! A much less recommended journey would be any night train. 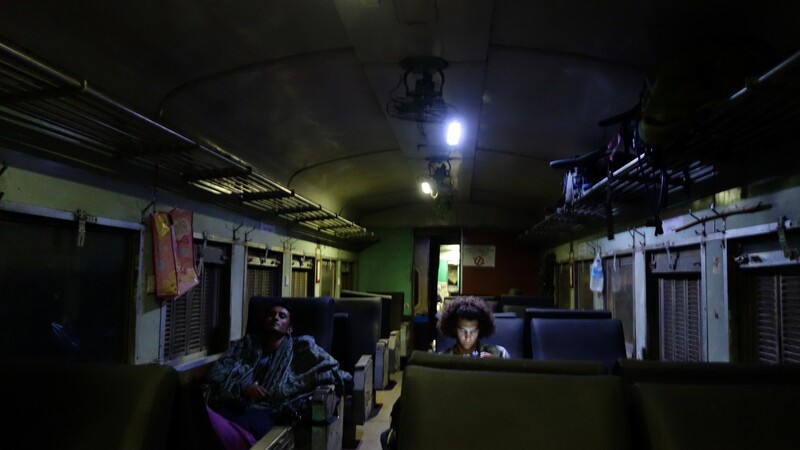 In particular, those that don’t even offer sleeping cars can be considered to be “an experience.” On the route between Yangon and Mawlamyine for example. 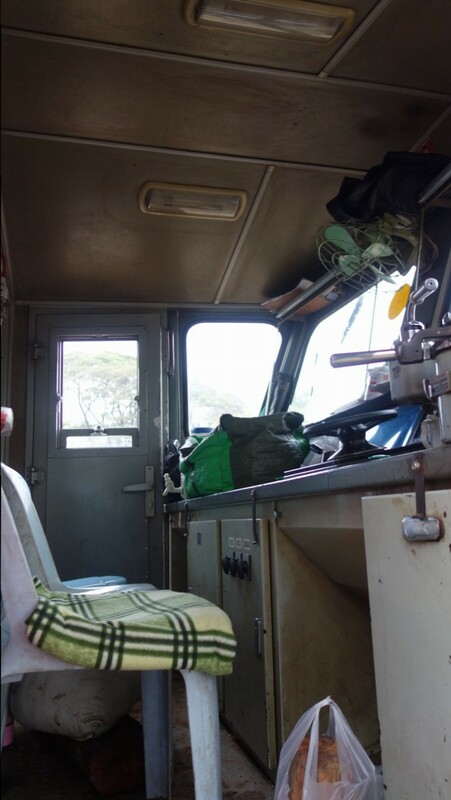 expect to find yourself trying your best to block out the noises of the carraige bouncing along the tracks, to the thunderous soundtrack of the diesel locomotive, intersped with generous usage of a very loud horn. If your lucky you might also find a railway policeman in your carriage keen to practice his singing in the presence of anyone who might be tempted to try to fall asleep (and take it from me he needed far more than just practice…) Not that silence will likely bring you any closer to slumber, as the knackered, rather grubby, and often broken seats you will likely find yourself sitting on, do little to absorb the bouncing, swaying motion of the carriage, that can leave you with a sore behind. If you have been foolish enough to try strap your luggage into the luggage racks, you can expect at some point to open your eyes to find your luggage dangling inches above your face. When we finally arrived in Yangon 10 hours later, looking like we had spent the night strapped into a spin dryer, the number of minutes sleep I’d had could probably be counted on my fingers and the presence of a rather shell-shocked stray dog who emerged from underneath one of the seats in our carriage suggested that it’s not just me and my fellow humans that struggle to sleep in such conditions. 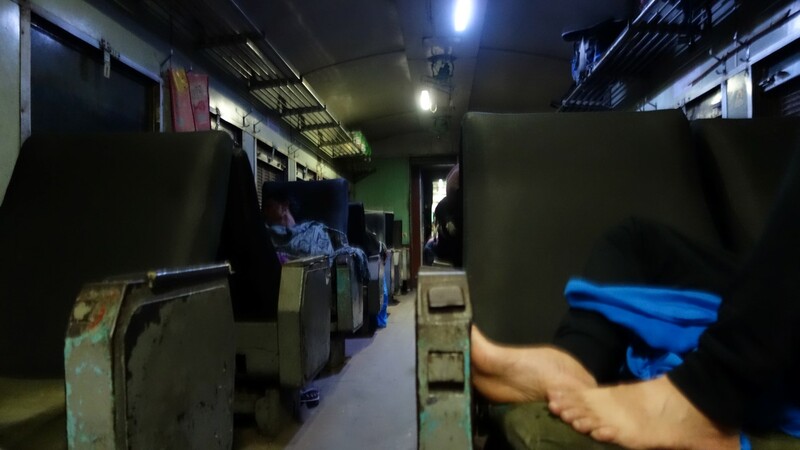 On more popular routes, you will find proper sleeping bunks, which are undoubtedly more comfortable and may allow some proper rest, but you should still expect to be regularly woken by sudden jolts that will send you bouncing perilously close to the bunk or carriage roof above you. Look how cosy it looks! 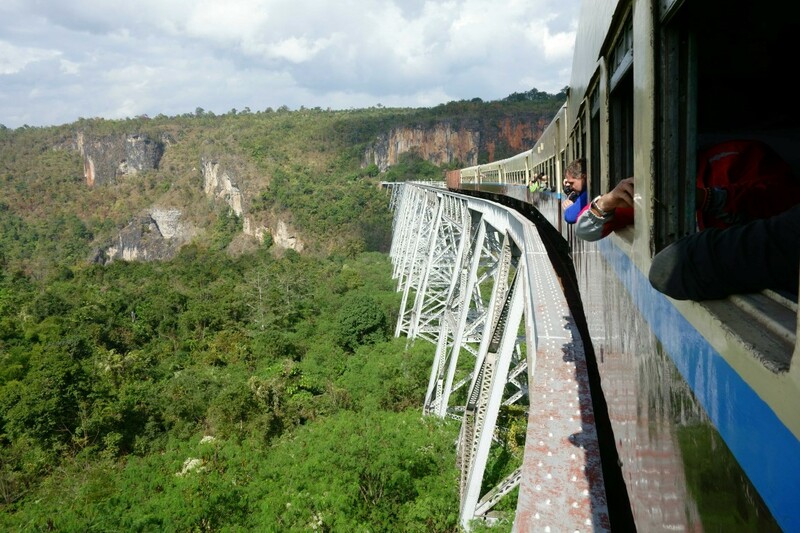 As a side note, the words “railway” and “Burma” will for many people be synonymous with each other for an entirely different and much darker reason. 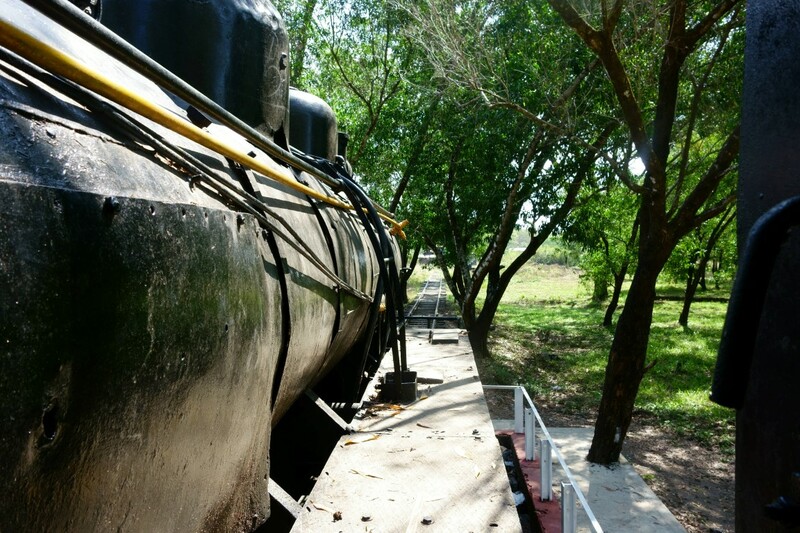 During World War 2, under the Japanese occupation of South East Asia, 1,000’s of allied Prisoners of War, and 10,000 of thousands of local labourers died constructing a rail link between the pre-war railway lines in Thailand and those in Burma/Myanmar as a way for the Japanese Army to secure its supply lines as they looked to advance into British India. 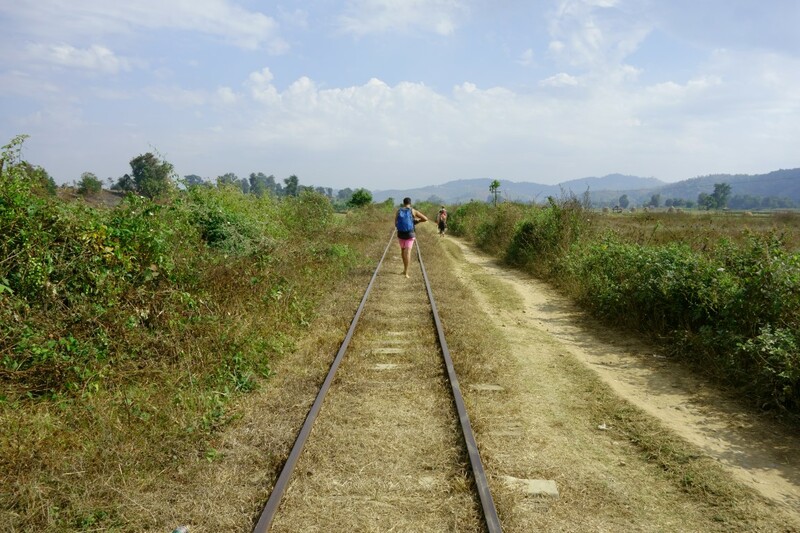 Whilst in Thailand, thanks in part to the film The Bridge Over the River Kwai, this dark herritage has become somewhat of a tourist attraction with several museums and a memorial walk along some of the now abandoned route now possible, this is not a past well-preserved in Burma/Myanmar. 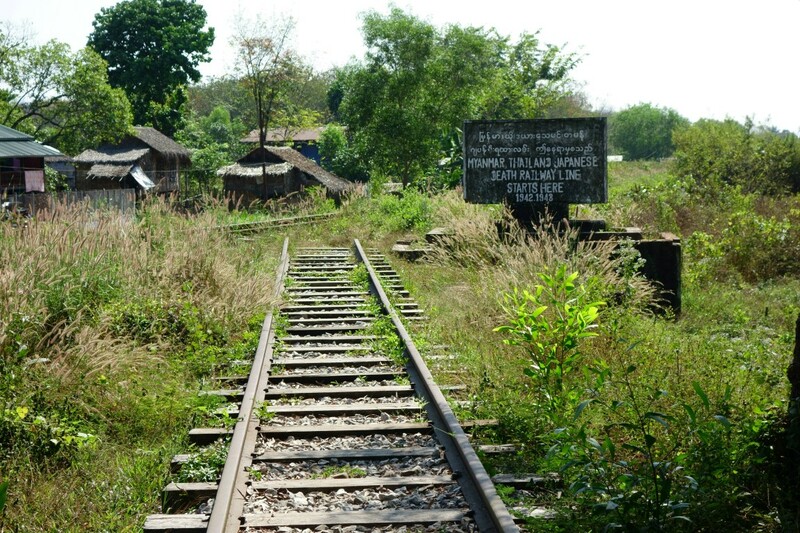 The start of this side of the death railway, in a town 40km south of Mawlamyne called Thanbyuzayat, there lies a forgotten memorial consisting of a few metres of track, an old locomotive and a sign. A broken figure of what looked like it was once a statue of an allied soldier can also be seen lying in the overgrown grass and weeds. 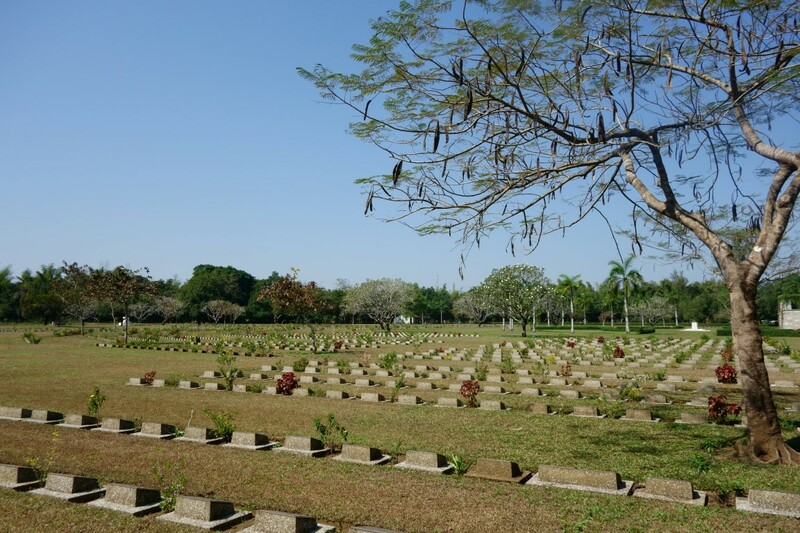 Nearby and separate from the memorial, there is an immaculately kept, war cemetery in which are interred the remains of soldiers from the UK,.the Netherlands, Australia and India, managed by the Commonwealth War Graves Commission, but no museum is to be found in the area. The fact that this rail link, for which so many died feels forgotten here even in the place where it started somehow made it feel even more poignant.